“Fank you for eatin’ da ice cweam wif us a’day,” NorBeff quietly whispered to me tonight through tears of offense that I was making her go to bed but not letting her sleep with a fork and a “biiiiig knife, pwease, Mom! It’s my favowite.” My little spark so fierce and so soft and so vibrant and so gentle and so effervescent all wrapped up in a body too small for a mind so vast. As I exited her room, I scooped up Annablair. All things gentle and calm and tranquil and hopeful. As always, she beamed up at me with her huge eyes crinkling… her smile taking up half her face, and her squeals taking up my entire heart. 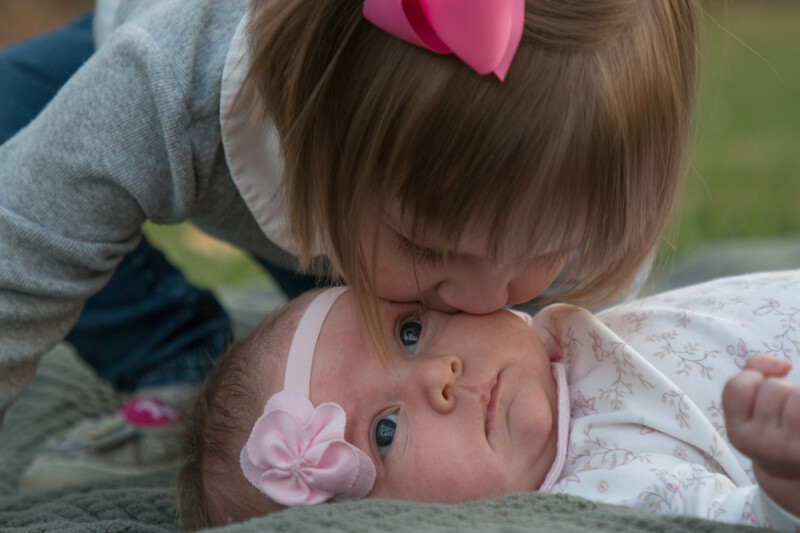 As I gently rocked her to sleep, my spirit felt pierced with longing for these two girls. For these two promises entwined in my every breath. It would be easy to list the things I hope they possess… an unapologetic following after our Father, genuine kindness, hearts that seek to understand before they judge, an openness that attracts friendship but doesn’t get taken advantage of, joy that is addictive, luminous spirits that leave trails of light behind everyone they touch, foundational wisdom and mature discernment. But overarchingly, I can’t shake the prayer of the two things I want them to possess foremost: resilience and capacity. For every incredible, good thing… every single blessing and treasure, that I want Life to heap upon my girls, it’s not fair to them to wish those things without also reluctantly praying for the things that will leave chinks in their armor. My heart longs for lives of ease and charm. My soul longs for disappointments that will leave them cleaving their hearts to the Father. My instinct is to wrap them up and squirrel them away with me forever. My hidden hope is that they face challenges that would otherwise seem insurmountable, so we can embrace at the apex and drink in victory on their behalf. To scale those peaks, I want for them the resilience to scale ever higher when they lose their grip. I don’t want for them to defer their destiny because they stumble on a pebble, and never know the view they could have seen if they had scrabbled still upward and over the boulders still to come. I want my girls to imbue a still, solid strength that allows them to face their trials, rise with remnants of dust and ash, and somehow glow far brighter in their presence. I want them to be hardy and resilient. I want their respites to be rich and full of renewal and not retreat, so that they can soak up restoration and be revived to swing the sword again. Be resilient, my darlings. And I want their foundation to be of full capacity. I do not wish them to declare themselves tapped out after a small battle, but rather I want them to be Gideons… chosen to have their comforts whittled away, so that their full capacity can be showcased with His support. The capacity of David’s small stones far outweighed the capacity of Goliath’s ferocious hand. I pray that the joy that burns within my girls be the flames emitted from their fiery tenacity. I pray that their sweet spirits be an overflow of their foundational confidence that the Creator has equipped them with fullness of capacity. That capacity might make their battles larger, but when paired with their resilience, will make their victories all the more celebratory. Oh, my sweet angels, what I want for you is reward. What I want is for you to never take a tumble. But what I really want for you is to graciously, resiliently sustain just enough cracking to release His glory. The journey to each of you fractured me in places I wouldn’t have yearned for, but one glimpse of you, and I see the radiance of His renown.